In August I just want to make and eat all the things that are growing like crazy and super cheap at the farmer's markets. 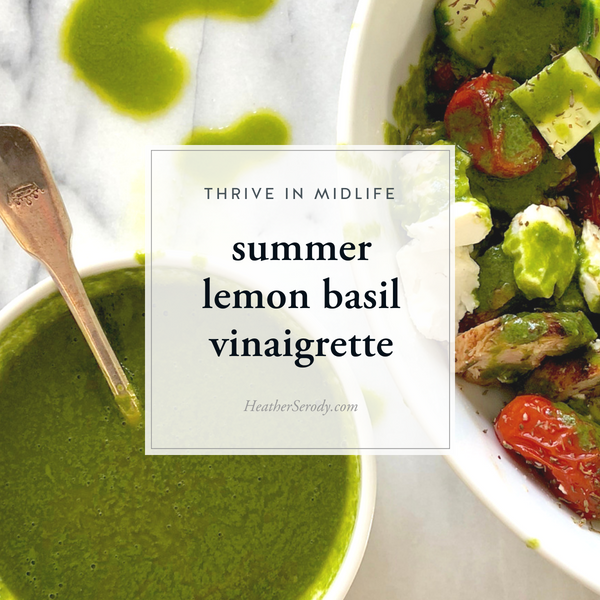 This includes basil, tomatoes, and cucumbers. 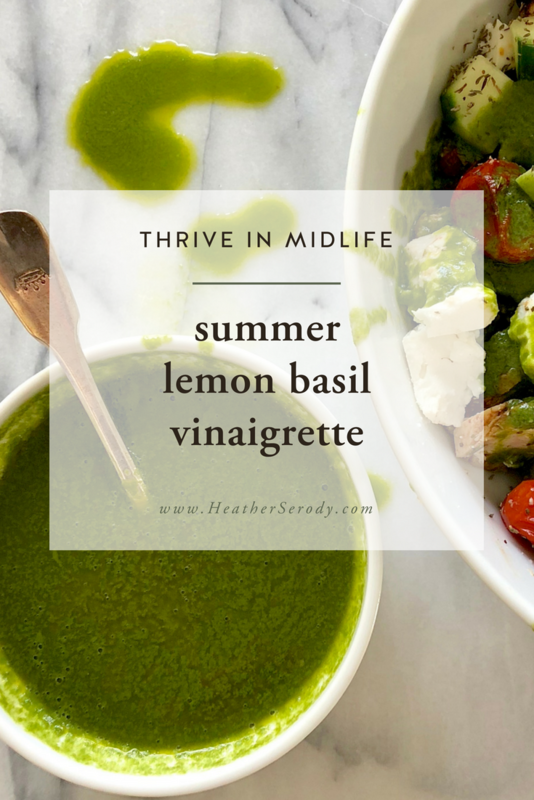 Since lemon and basil are one of my favorite all-time combinations, I figured why not emulsify them together in a zippy dressing that you can drizzle all over my favorite go-to summer salad? 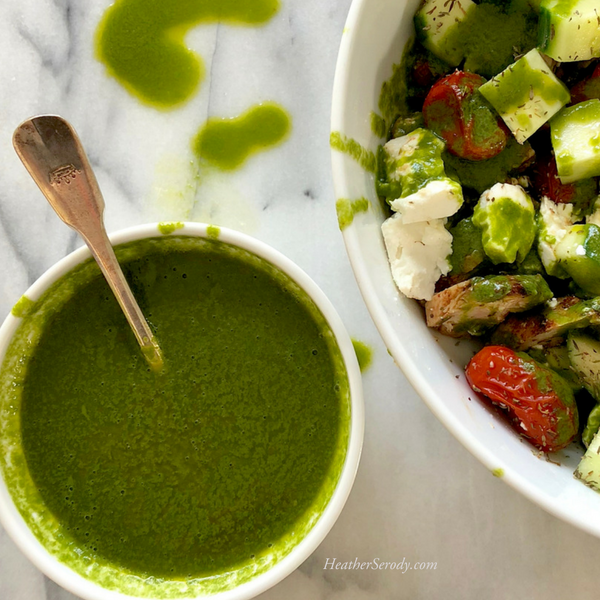 I created this vinaigrette to go over my favorite easy salad of roasted cherry tomatoes, cut up grilled chicken, cucumbers, and Bulgarian sheep's milk feta. You can get the premade chicken and Feta right at Trader Joe's. I like to use English cucumbers because they don't have lots of seeds. 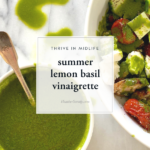 Thankfully, I can grow basil all year long in Palm Beach, so I'll be making this vinaigrette on the regular and keeping my basil plants from taking over my raised garden bed. Place all ingredients in a high powered blender and blend for 1 full minute. Serve immediately. Store covered in the refrigerator for up to 5 days.